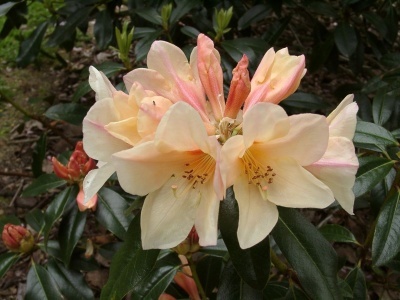 Rhododendrons direct from the growers to you! First Year Plants: These are plants that are in their first year of life. They are either rooted cuttings or tissue culture plants. They are small and will need special handling their first year. They range in size from a stick with three leaves and a root ball the size of a golf ball to a multi stemmed plant with a small fist size root ball. See the Blog post about handling first year plants for more information. Two Year Plants: We call these teenagers. Not quite ready for the big world, but are on their way. Can be container planted or planted in a sheltered area. They can be between four and eight inches tall and will have a fist size root ball. 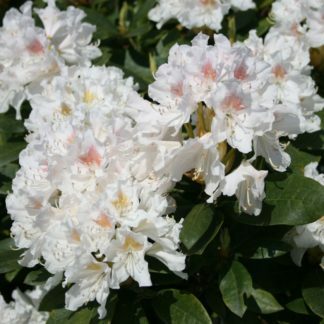 These are in 3 or 4-inch containers or in their first year of a #1 container. 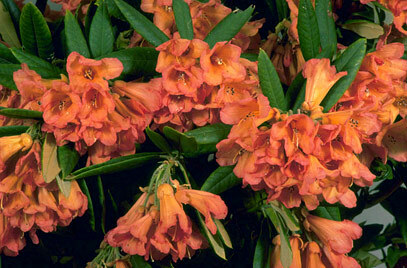 #1 Containers: These rhododendrons come in various plant sizes and will be rooted into a #1 container. These range from being a stem with leaves to being a stem with multiple branches. They are usually one-two years rooted. 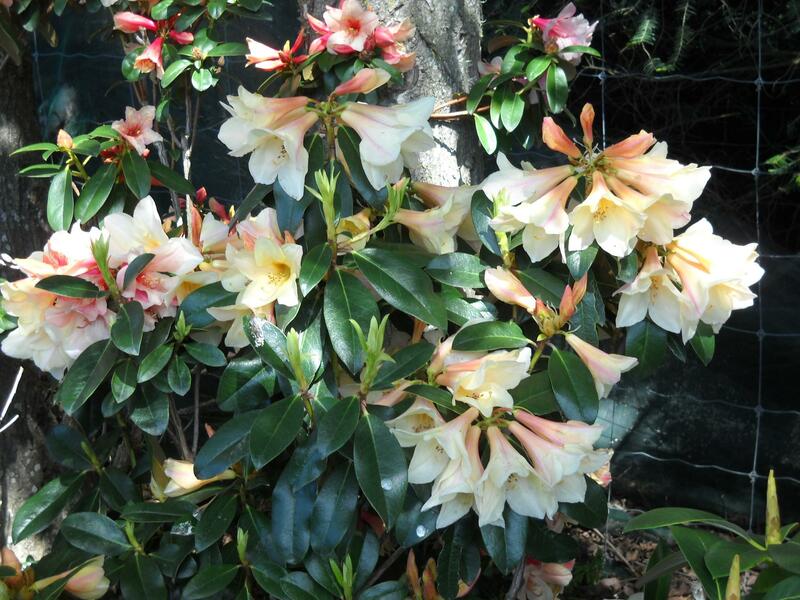 These plants can range from six inches tall to 24 inches tall and up to six inches wide. 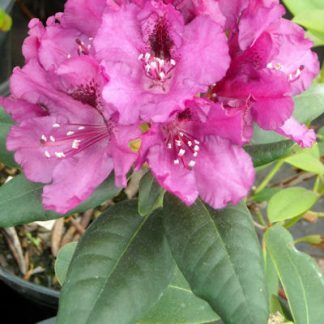 8” to 12” wide: These rhododendrons are typically rooting into a #1 or #2 container or have spent one year as a field grown plant. They can range in height from 6 inches to 40 inches tall based on their height potential. For example, plants with a growth potential of 2 feet in ten years will only be 6 inches tall. 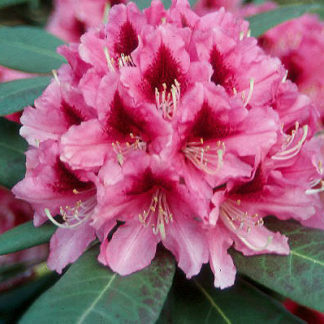 12” to 15” wide: These rhododendrons are typically rooted into a #2 or #3 container or have a year or two of field growth. They can range in height from 8 inches to 40 inches tall based on their height potential. 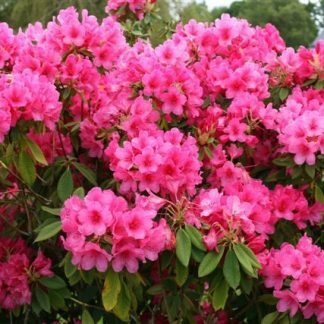 15” to 21” wide: These rhododendrons are plants that are usually three or four years old and are rooting into a #3 or #5 container or have been field grown for several years. Depending on the plant, they can range in height from 10 inches to 40 inches depending on their 10-year growth potential. Taller growing plants will be at the larger height. 21” to 24” wide: These are beauties! 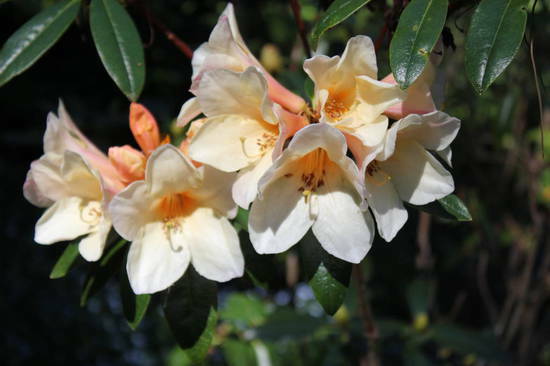 These plants are about half way to their mature age and are about five years old. They are typical to a #7 container. 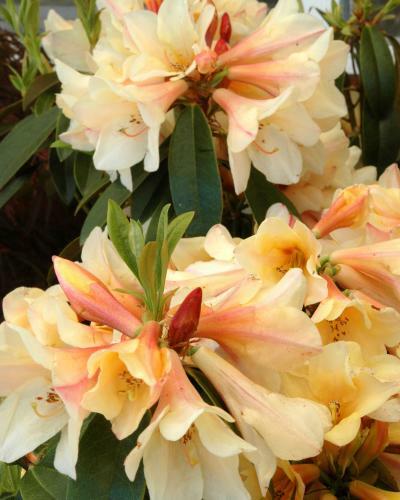 Rhododendrons that grow to be large plants are trimmed to keep them a size that is shippable. The heights of these plants will vary based on their potential height in ten years. These plants will be between 21 and 24 inches wide. These are ready for instant landscape! These are mature plants that are at least six years old. The measurement is of the outer spread of the leaves. The height of the plant will depend on the growing characteristics of the variety. These plants are very limited in supply due to the amount of time and space it takes to grow them. Please contact us if you have any questions.